Major B K Pant was the son of Subedar Bhagirath Pant who also served in the Army and retired in 1948. Major B K Pant was commissioned into 2 Rajput of the famed Rajput Regiment, a regiment known for its valiant soldiers and numerous battle honours. Major B K Pant’s son Mukul Raj Pant also joined the Army and continued the legacy of serving in the armed forces. 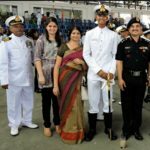 When Major B K Pant’s grand son, Sub Lt Vivek Pant joined the Navy, he became the fourth generation military officer of the family. 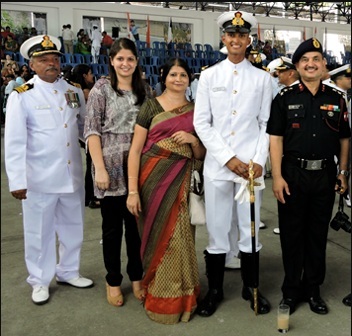 Major B K Pant since his childhood wanted to follow in the footsteps of his father and serve in the armed forces. After being commissioned into an infantry regiment, he soon gathered expertise in the field craft skills and evolved into a committed soldier. Major B K Pant developed into a fine officer who commanded great respect of his juniors and peers as well. With the rising tensions with China on the North Eastern border Maj B K Pant’s unit under the command of Lt Col Maha Singh Rikh was moved to the banks of the Namka chu river by October 10 1962, as a part of 7 Infantry Brigade. The brigade was stretched on a twelve-mile front along the Namka Chu, with the marching time from one end to the other being five days. The battalion was deployed in a trackless wilderness, where no mules could go and no civilian population lived which could help logistically. The shortage of winter clothing added to the hardships of the troops but they rose to the occasion and showed exemplary courage in the days to follow. By the time the fighting commenced, the Chinese had occupied all the dominating heights in the area. The Chinese troops launched a massive assault on the 2 Rajput front and in the fierce fighting that ensued, the battalion repulsed a number of determined attacks. 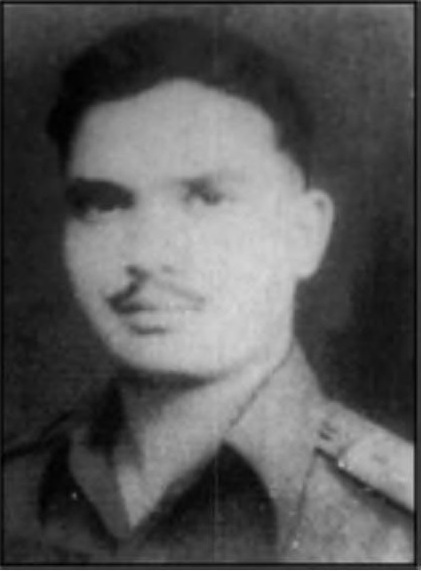 Maj B K Pant who was commanding one of the companies faced one of the fiercest attacks. 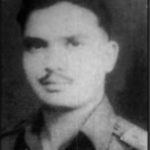 On 21 Oct 1962, Maj B K Pant’s company held fast against three waves of Chinese assaults and suffered heavy casualties. Maj B K Pant himself was wounded in the stomach and legs, but in a rare show of courage and leadership he continued to inspire his men, exhorting them to fight till the last man. The Chinese sensing that their obstacle in advancing lay with Major Pant, brought a volley of machine gun fire on his position. Maj B K Pant was seriously injured and collapsed proudly shouting the Rajput Regiment’s battle-cry: “Bajrang Bali ki Jai.” His last words to his troops were truly inspiring wherein he said, “Men of the Rajput Regiment, you were born to die for your country. God has selected this small river for which you must die. Stand up and fight like true Rajputs”. In Maj B K Pant’s company out of 112 men, 82 got killed and wounded. Major B K Pant displayed extraordinary grit and gallantry and made the supreme sacrifice in the service of the nation like a true soldier. As long as Bharath exists every person should pay tributes and remember the valour and glorious sacrifice of late Major B K Panth in a true tradition of great Rajput Regiment of Indian Army. May his soul rest in peace. Major B.K.Pant sir , my tribute to you ever since I heard from my father about your Regiment 2nd Rajpoot its heroic stand against two full chinese divisions of PLA at River Naam ka chhu and its sacrifice and your supreme sacrifice ,your last battle cry and addressal to your men ” BRAVE RAJPUTS YOU ARE BORN TO DIE FOR YOUR COUNTRY “with this single sentence you summarized the entire Gist of WORD RAJPOOT = BORN TO DIE FOR THE COUNTRY .you were bravest of the brave .when victory is certain even cowards fight ,when death is certain only bravest of the brave fight .you deserved a recognition of your bravery by this country. Your name shall remain top most .your words BORN TO DIE FOR YOUR COUNTRY are essence of spirit of all Bharat Rakshaks.be born again to my country sir .so long as there are men BORN TO DIE FOR COUNTRY spirit and soul of Bharat shall remain invincible.